Darryl Patton has been hunting, gathering and working with medicinal plants for the past twenty-five years on Lookout Mountain in the Southern Appalachians. 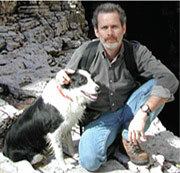 Darryl is an ND as well as a Master Herbalist and brings many years of experience to the field of alternative medicine. Known for his easy going approach towards teaching the identification and uses of medicinal plants, Darryl has been called a walking encyclopedia of herbal folklore. For 12 years, Darryl was privileged to spend thousands of hours studying under the late A. L. "Tommie" Bass, one of the last of the old mountain herb doctors. Known internationally among herbalists as well as the common folk living near Lookout Mountain, Alabama, Tommie Bass used his God-given ability and vast knowledge of medical herbs to help thousands of people from all walks of life. During his apprenticeship with Tommie, Darryl was taught the identification and medicinal uses for literally thousands of plants found in the hills and hollows of the South. His passion in life is to pass the "old way" of using medicinal plants to his students and others wanting to continue the tradition of gathering wild plants as food and healing. Darryl is the author of, "Mountain Medicine, The Herbal Remedies of Tommie Bass," published by Natural Reader Press and has appeared on Alabama Public Television and the Comedy Channel. Darryl has also been featured in many newspaper and magazine articles relating to the uses of medicinal plants and is in demand nationally as a speaker on alternative medicine. He has lectured in such diverse places as Las Vegas, New York City, Washington, D.C., and Atlanta. An Adjunct faculty member of Clayton College of Natural Health, Darryl publishes The Southern Herbalist, and Stalking The Wild....The Magazine of Outdoor Discovery. Darryl operates a wilderness survival training school in the mountains of North Alabama where he teaches a wide range of classes such as medicinal plant walks and also offers one-on-one apprenticeships for those seeking to further their knowledge in the world of herbs and alternative medicine. A past publisher of Wilderness Way Magazine, Darryl is the editor and publisher of Stalking The WildThe Magazine of Outdoor Discovery, The Southern Herbalist, and co-founder of Wild Alabama, a nationally recognized environmental magazine. Primitive and wilderness survival expert, outdoorsman, adventure traveler, herbalistyou name it and Darryl does it. He is a member of Randalls Adventure Training and is a veteran of many trips to the Peruvian Amazon, where he graduated from the Peruvian Air Forces Jungle Operations and Survival School. He has instructed classes and training seminars on primitive and wilderness survival skills. Living with his wife, Jane, on Lookout Mountain, not far from Tommies shack, Darryl operates a wilderness training school in the mountains of north Alabama. He can be reached by writing to P.O. Box 8481, Gadsden, AL 35902.